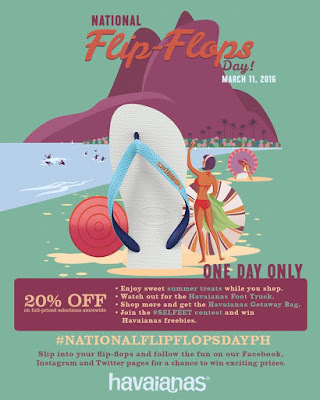 Havaianas is officially opening summer as we celebrate National Flip-Flops Day on March 11, 2016. 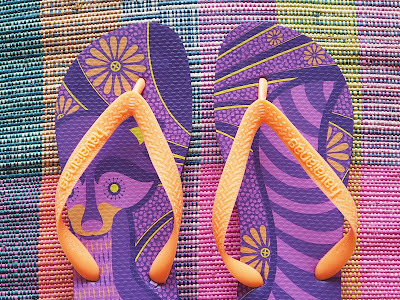 Celebrate National Flip-Flops Day with Havaianas! It's hot in the Philippines most of the time but there's still something about summer that makes it a season to look forward to. The backdrop is more vibrant and the skies appear to be bluer. Summer also has another meaning for every Havaianatico - National Flip-Flops Day. 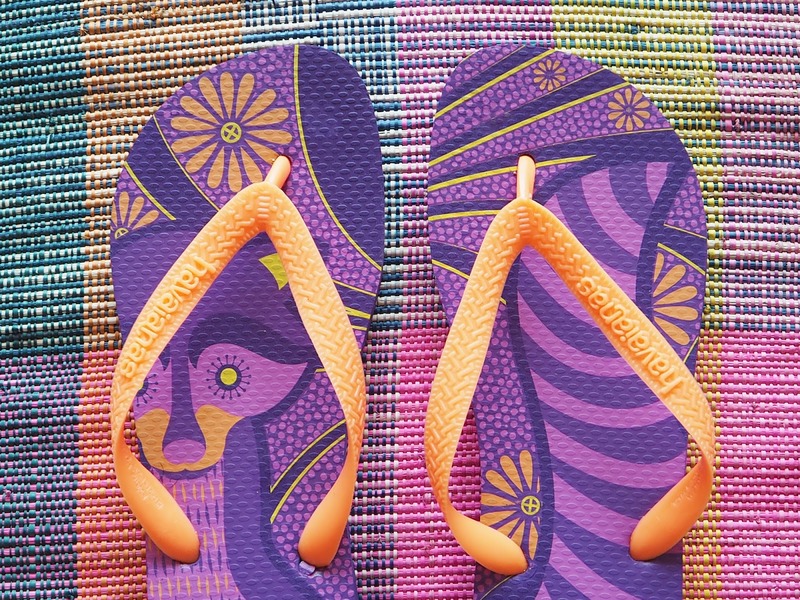 Every year, Havaianas is front and center in officially welcoming the most beautiful season. 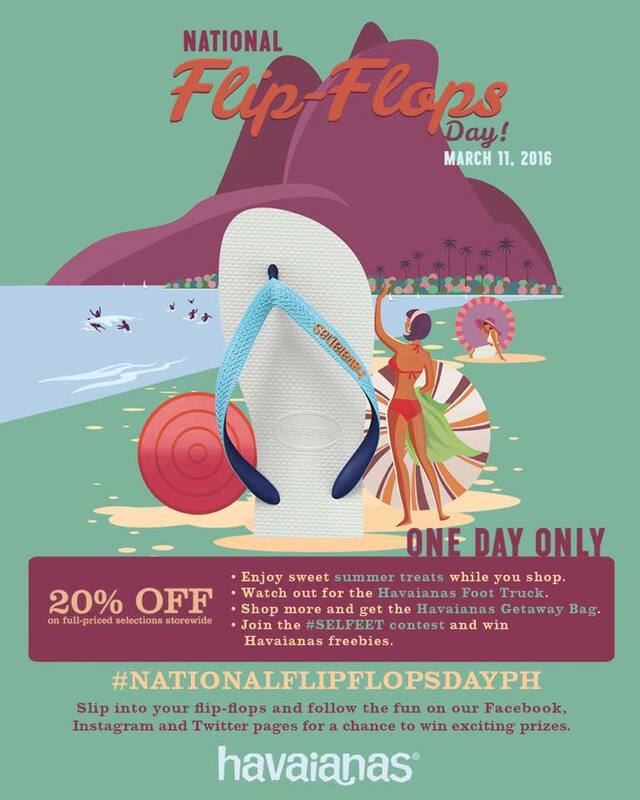 On March 11, 2016, everyone is invited to join in the fun of wearing Havaianas wherever you're headed to. Life is truly better in flip-flops and Havaianas is giving you a sweet deal so you can grab a new pair for the summer season. All flip-flop styles are on a 20% discount just for one day at select participating retailers nationwide. Too busy to go out? Get your flip-flop fix at shophavaianas.ph. Free shipping on all orders just on National Flip-Flops Day. This year's National Flip-Flops Day promises to be more exciting as we bring you the Havaianas Foot Truck! Touring around some parts of the Metro, this truck will surely bring new levels of Havaianas joy! Receive a complimentary flip-float just by taking an individual or group selfie by the Havaianas Foot Truck and uploading it on Instagram with the hashtag #NationalFlipFlopsDayPH. Simply visit the truck and get to cool down with a Havaianas popsicle! Talk about great deals on wheels! Sweet treats are also up for grabs through-out the day at selected All Flip-Flops stores and Havaianas retailers. To get the celebration going, a complimentary milkshake from Cupcakes by Sonja will be distributed in All Flip-Flops Trinoma, Megamall and BHS. The sweet treats don't stop there, shoppers who will pass by later in the day will get complimentary LED cotton candy sticks. Upload your most creative selfeet on Instagram and be 1 of the lucky 5 winners to receive a special prize from Havaianas.